When it comes to remodeling your home, it’s absolutely essential that you make sure you have a sound and realistic budget before you get started. While you might not like the idea of having to budget for every single aspect of your remodel, you, your home, and your finances are sure to appreciate it in the long run. As you first start planning your remodel, don’t focus on the price of what you want. Write down everything that you desire to do and buy no matter how expensive or extravagant it might be. As you’re making your wish list, make sure you are specific as possible. 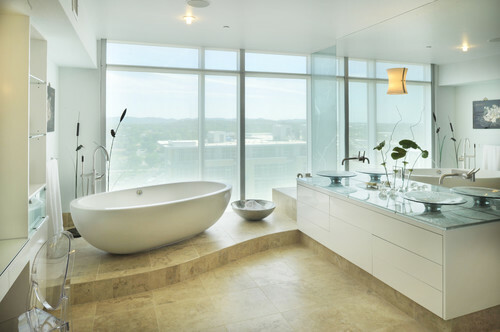 If you want a spa-like bathroom, what specific spa elements are you going for? Be creative, yet practical. Once you've written down your dream home remodel plan, take a long and honest look at your current and future financial reserves. Do you have the money for that cheery wood door you've got your eye on? If you don’t have all of the money you need, consider adjusting your remodel to something that you can afford. If after the second draft you find that you still can’t fully fund your remodel, you may want to get a few of the bare necessities, like toilets, and start saving up for the rest so that your home can at least start to look and feel new. Get a solid grasp of how much everything is going to cost you. And that doesn’t mean just your couches, doors, wall paneling, and the kitchen backsplash, you also want to leave room for contractors, fees, and going over your budget. Plan and save up for as many contingencies as you can to protect yourself and your finances. After you’ve got an idea of how much everything is going to cost you, start prioritizing your remodel. If you plan on revamping your entire home, which rooms need to be done first and which can wait? Will you need to take care of a few maintenance items before you get started? If so, how much will those cost and how long will they take? It’s always best to over-budget just to give yourself come cushioning in case prices start adding up to more than you originally bargained on, as they most likely will. Be smart, sensible, and realistic when it comes to creating a budget for your home remodel. Realize where you can cut corners and where you should go all out for the sake of quality and safety.